Who doesn't like to get a lovely Birthday card? Look at these two whimsical cards made from my original watercolor illustrations. 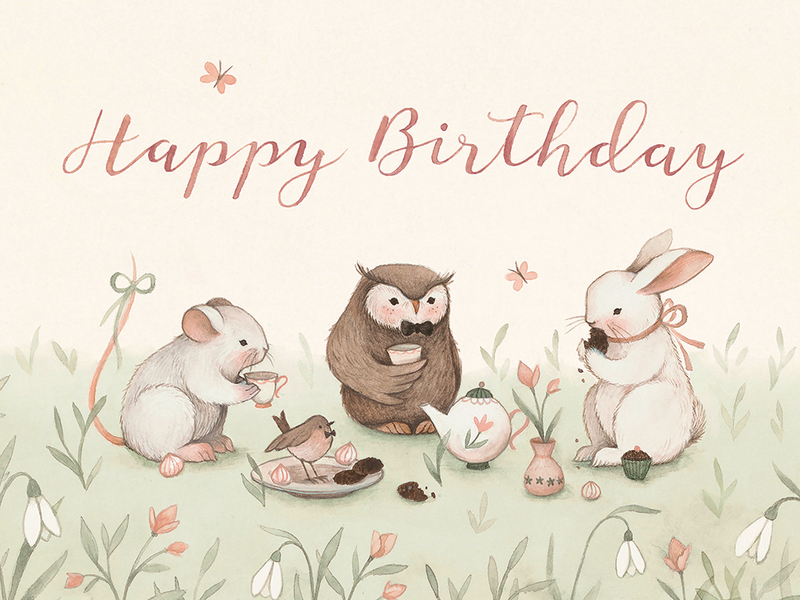 Woodland animals playing instruments and singing you a Birthday song. And animals having a Tea Party and eating muffins in the meadow. I have also played with letters a bit this time - watercolour lettering was also designed by me.